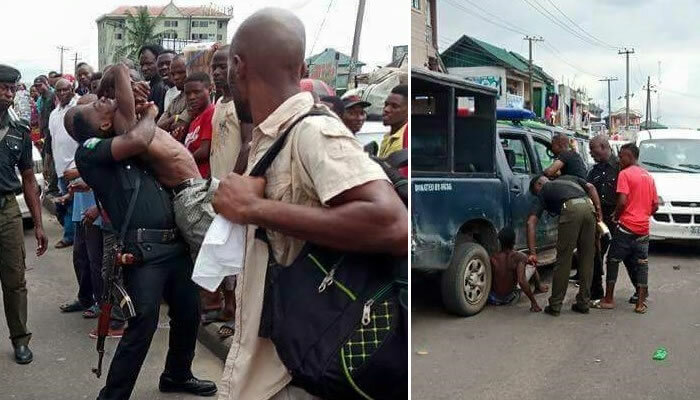 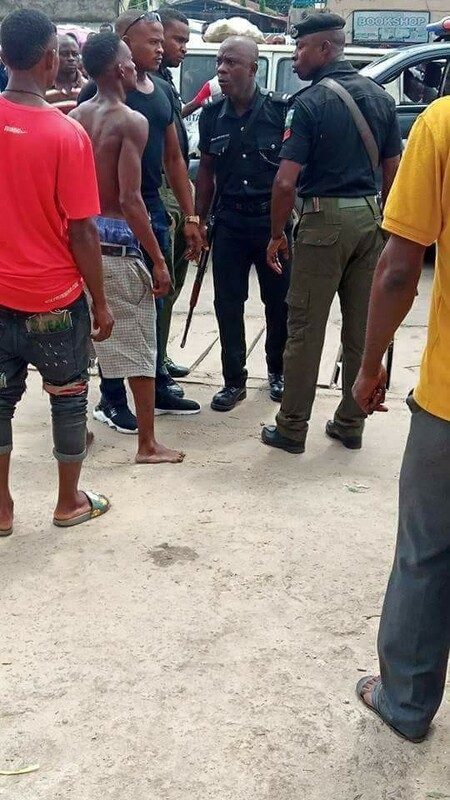 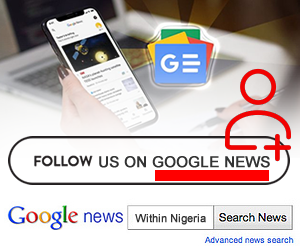 Police officers allegedly brutalize driver in Rivers State, strip him for refusing to give them bribe. 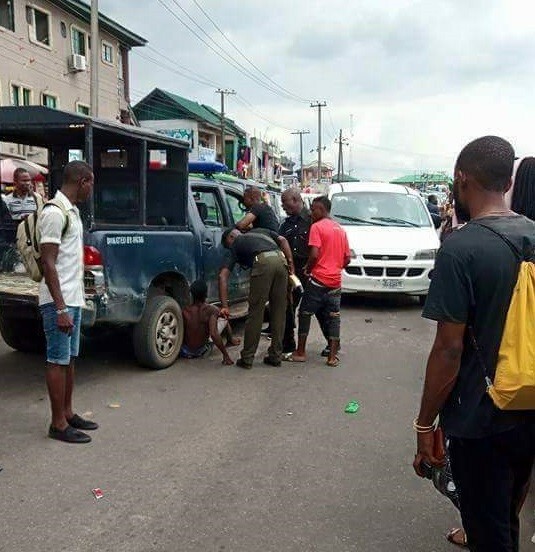 Some police officers were accused of assaulting a commercial driver in Port Harcourt for allegedly refusing to give them bribe. 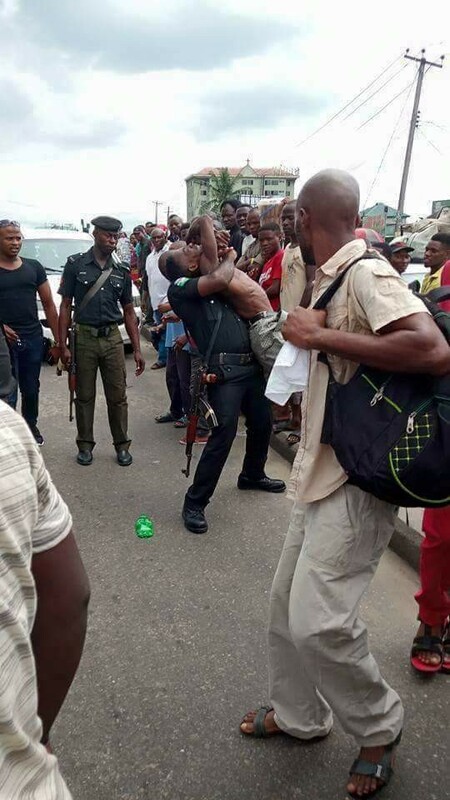 Eyewitness from at the scene shared photos of the incident yesterday.